Yes - Ubisoft is making a Mario RPG with their Rabbids and it's weird. Exclusive details and images within. 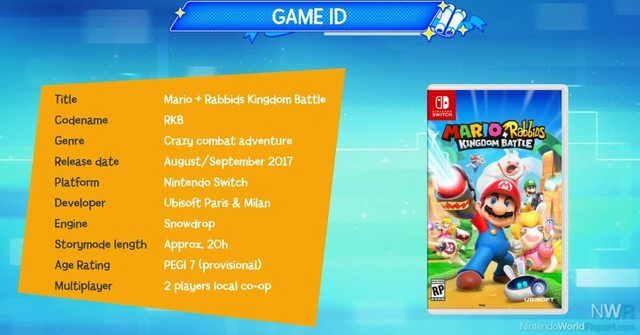 A more firm confirmation of the rumored Mario and Rabbids game has leaked out and we're able to confirm that, yes, Nintendo and Ubisoft are working on Mario + Rabbids: Kingdom Battle on Switch and it is due out later this summer. 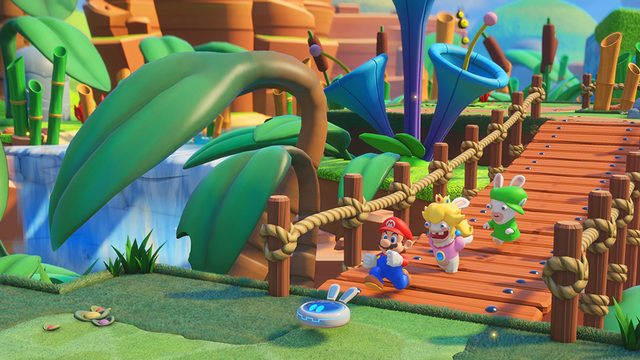 We received a few images from a source that are embedded in this article, detailing the pitch and concept of Mario + Rabbids: Kingdom Battle. The game is presented as an RPG that mixes exploration and turn-based combat. The exploration is estimated at 35% of the game with combat making up 65%. Each of the four worlds are "twisted" Mario worlds filled with references. 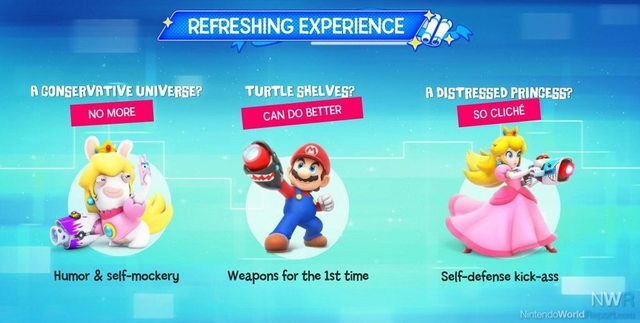 The combat is weapon-based as Mario and company can use guns for the first time (we can assume Yoshi's Safari doesn't count). 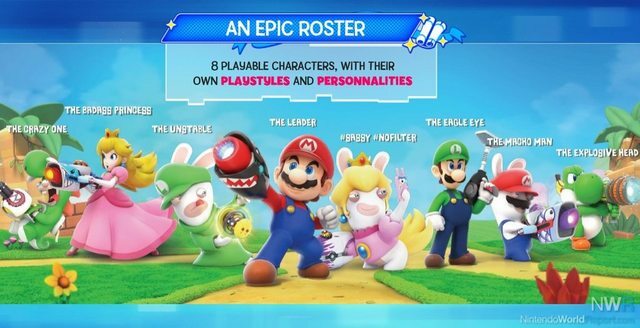 Eight different characters can be used: Mario, Luigi, Peach, Yoshi, and Rabbids dressed up as each of them. 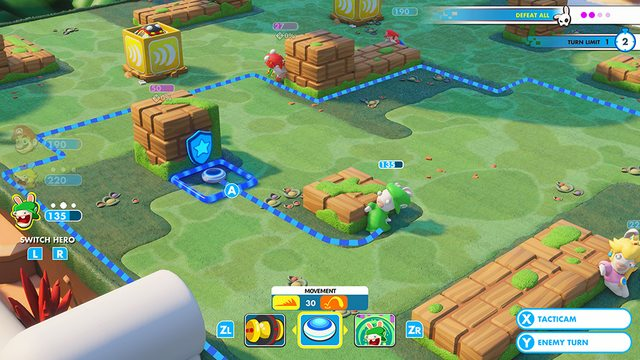 Combat is described as more tactical, and we've heard that it's more akin to a strategy RPG than what you might expect from a Mario RPG. 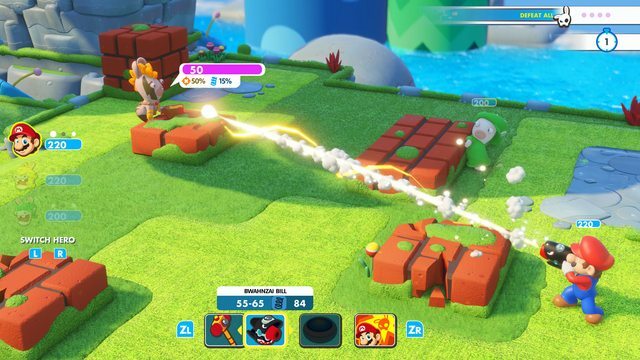 On top of all that, the game can be played in co-op for two players as well. Interestingly, Ubisoft appears to be publishing this game. 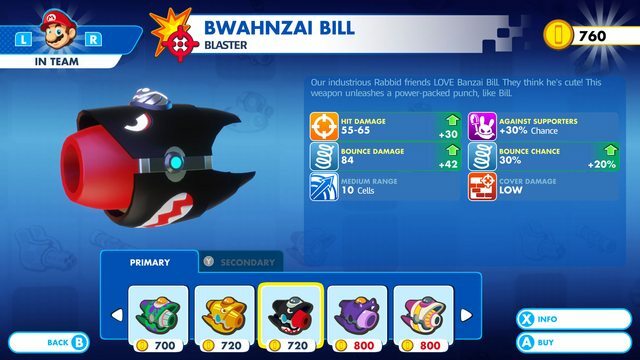 It is estimated to be about 20 hours long and runs on Ubisoft's Snowdrop engine. 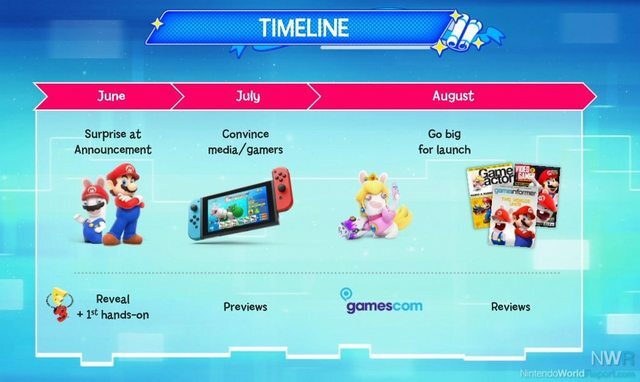 The developers are Ubisoft Paris and Milan, who have experience with the Rabbids series, most recently with Rabbids Land on Wii U. Be sure to check out all of the images in this article for more details. 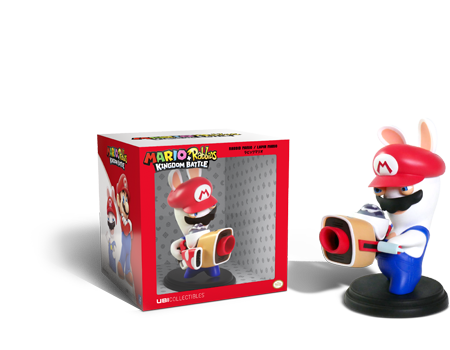 Also notice that the Mario-looking Rabbid is described as "The Macho Man" for some reason.